The Arizona real estate market offers a wealth of options for luxury homebuyers as well as splendorous weather and breathtaking scenery all around. Luxury homes in Arizona offer exceptional amenities and plenty of modern comforts in addition to their easy access to the region’s wide array of recreation, leisure and entertainment options. For those seeking luxurious, elegant homes in a naturally stunning location, Dove Mountain and the Arizona real estate market have plenty to offer. Dove Mountain features plenty of Arizona luxury residences available at great prices, not to mention unmatched amenities, gorgeous scenery and unassailable prestige. Dove Mountain boasts more than 6,200 acres of spectacular desert terrain known for its plentiful sunshine and picturesque natural beauty. The community boasts luxurious homes with phenomenal views as well as superb amenities and access to world-class golf courses like the Golf Club at Dove Mountain, the Gallery Golf and Sports Club and the Highlands at Dove Mountain. With its coveted location just outside of Tucson, picturesque scenery, and bevy of luxury home choices, Dove Mountain stands as one of Arizona’s most desirable communities. The state’s real estate market features a wide range of luxury homes to choose from. Luxury homes in Arizona are readily available at reasonable prices and offer strong values and competitive interest rates. In addition, they also offer modern amenities and spectacular natural scenery all around. For homebuyers seeking prestige and picturesque scenery in a highly livable location, the luxury Arizona real estate market has plenty to offer. Tucson features a high quality of life marked by its wealth of amenities, renowned cultural attractions and spectacular weather year round. The city boasts a vibrant, diversified economy as well as exceptional public and private schools. It also plays host to renowned colleges like the University of Arizona, Arizona State University, Tucson College and many others. It also boasts a wide array of upscale shops and restaurants, stunning scenery and easy access to major highways, Amtrak and Tucson International Airport. The city is rich with cultural and historic attractions to discover as well as plentiful entertainment, nightlife, leisure and recreation options. Local attractions in Tucson include the Arizona Historical Society, the Arizona-Sonora Desert Museum, the Arizona Theatre Company, the Tucson Symphony Orchestra, the Arizona Opera and a wide array of fine galleries, boutique stores, golf courses, horseback riding trails and parks. 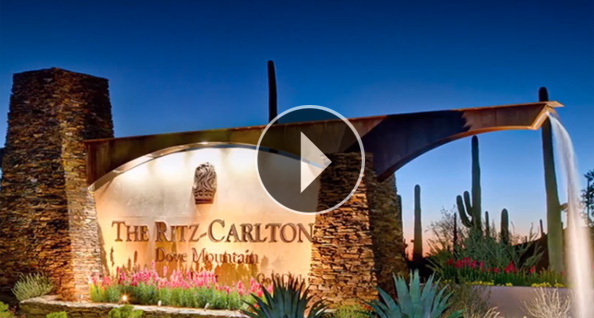 With its wealth of amenities, luxurious homes and convenient access to local attractions and sites of interest, Dove Mountain is among the most desirable of Arizona’s luxury communities. Homebuyers seeking an elegant home in a beautiful location should put Dove Mountain at the top of their list.